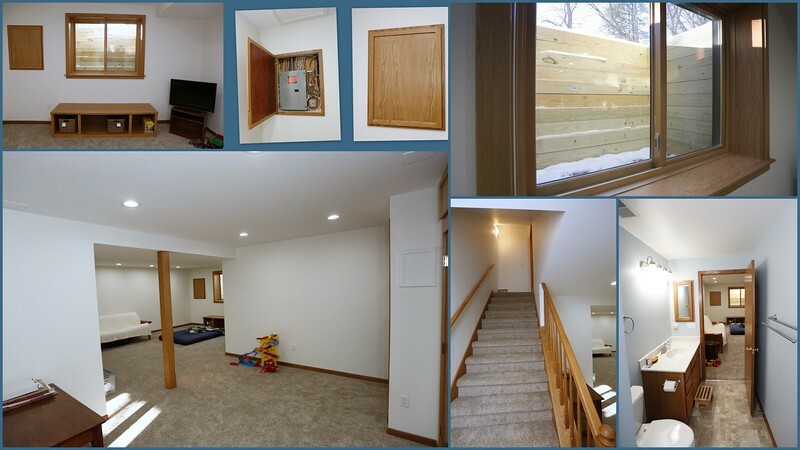 On 03.08.2018 the recently completed basement renovation by Gingrich Construction was documented. Features include a floor to ceiling game display shelving, a floor to ceiling closet, a pantry with upright freezer and canning storage, utility room bin storage, egress window with timber (emergency escape) plus a custom step with open access storage, carpet, lighting, covered electrical panel & recessed lighting and covered support beam. Downstairs full size bathroom with shower, sink, built in shelving and vanity cabinets completed. Beginning November 6th the interior/exterior of a newly built contemporary garage on Cross St. was photographed interior/exterior.